Prostate cancer has one of the highest morbidity index of all cancers among Irish people. Early stages of the disease cause little to no symptoms, so it is either detected early via a routine check, or too late, when the disease is already at an advanced stage. If caught and treated early, the 5-year survival rate is almost 90%, whereas late-stage disease carries a significantly lower chance of survival. It has emerged today that a Belfast team has made a major breakthrough in the treatment of the disease. Depending on how little or how much the cancer has spread, treatment options are varied, usually involving a combination of radiotherapy, surgery, and support therapies. Now, researchers in Belfast have tested a novel treatment technique that combines an existing androgen-deprivation therapy with a new compound, OCT1002. OCT1002 is a novel, hypoxia-activated prodrug that inhibits the expression of genes commonly associated with prostate cancer. In-vivo testing showed that OCT1002, when used concomitantly with hormone treatment, caused markedly increased apoptosis of malignant cells, leading to enhanced tumor growth control. The team also believes that this new combination treatment will greatly reduce the chances of relapse, as OCT1002 selectively targets hypoxic (‘low oxygen’) tumor cells. Tumor hypoxia is commonly associated with genetic aberrations in affected cells, which may trigger disease relapse. 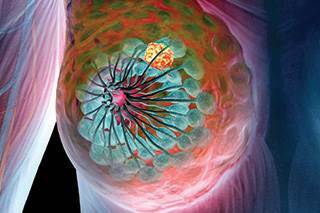 An Irish research team, Breast-Predict, is confident that it has achieved a breakthrough in the fight against Triple-negative Breast Cancer (TNBC). The team is based in St. Vincent’s Hospital in Dublin. TNBC accounts for about 15% of all breast cancer diagnoses, but has the highest mortality rate due to a lack of truly effective treatment. The team believes that compound APR-246 can be used to treat TNBC effectively. TNBC differs from other subtypes in that it does not express estrogen receptor (ER), progesterone receptor (PR) or the amplification of Her2/neu. Since most chemotherapy drugs target one of these three molecular markers, the medical armamentarium in the fight against aggressive breast cancer is severely limited. Patients diagnosed with TNBC usually undergo chemotherapy, but the disease does not respond well to treatment in many cases, since the targeted receptors are missing. As a result, most patients face a poor outcome. Crucially, the vast majority of TNBC cases feature a mutated P53 gene, which makes it a target of interest for treatment. A mutation in P53 renders it ineffective in enabling the DNA damage response pathway, which allows the survival of incipient tumour cells. APR-246’s mechanism of action targets the aberrant P53 gene, ‘correcting’ its mutation and thus inhibiting tumour progression. The compound will undergo clinical trials to determine its long-term viability. Dramatic images surfaced of an American Airlines jet going up in flames on the tarmac of Chicago O’Hare Airport yesterday. American Airlines Flight 383 was about to initiate its take-off run when the starboard engine caught fire. The crew executed an aborted take-off procedure and halted the aircraft. Emergency slides were deployed, and all 170 passengers and crew were evacuated in under two minutes. 20 people required medical attention, all for minor injuries. 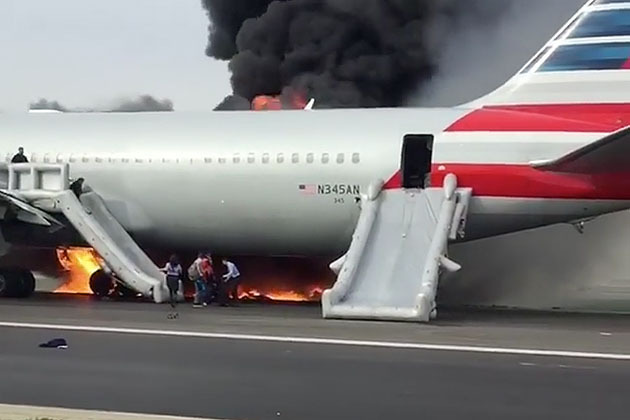 A spokesperson for American Airlines said that the fire had been caused by a ‘uncontained engine failure’. These ‘uncontained’ events involve engine parts becoming loose, large birds sucked into the turbine, or parts that fail due to wear. The fire burned so intensely that the outer part of the starboard wing melted. The outcome could have been much worse, however, had the fire broken out after the jet became airborne. 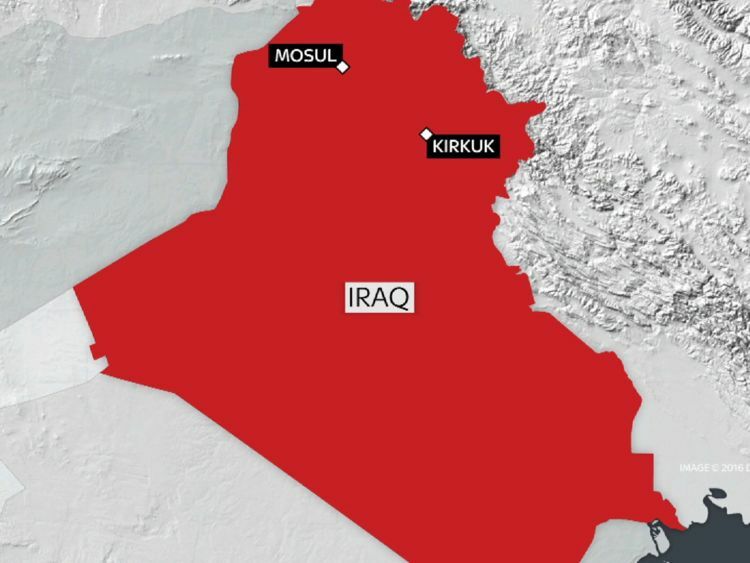 The aircraft involved in the incident, a Boeing 767, was manufactured in 2003 and has flown over 47,000 hours, accounting for 7,500 takeoff-landing cycles. NASA instrumentation has located the final resting place of the European Space Agency (ESA)’s Schiaparelli probe. The spacecraft crashed into Mars’ surface on October 19 last, after a suspected malfunction on its final approach. Contact with the probe was lost about one minute from the Martian ground. An ESA spokesperson said that they have not yet discerned the nature of the malfunction, but believe that a software glitch was the root cause of the failure. Telemetry data shows that the parachute designed to slow down the craft’s descent deployed too early, and that the reverse thrusters cut off too soon. According to the spokesperson, data proves that the thrusters did operate briefly, but not long enough to enable a safe landing, as the computer may have interpreted that the craft was closer to the ground than it really was. ESA Mission Control believes that the probe hit the Martian surface at terminal velocity, shattering on impact. The crash site is located about 33mi away from where NASA Mars rover Opportunity was operating at the time. 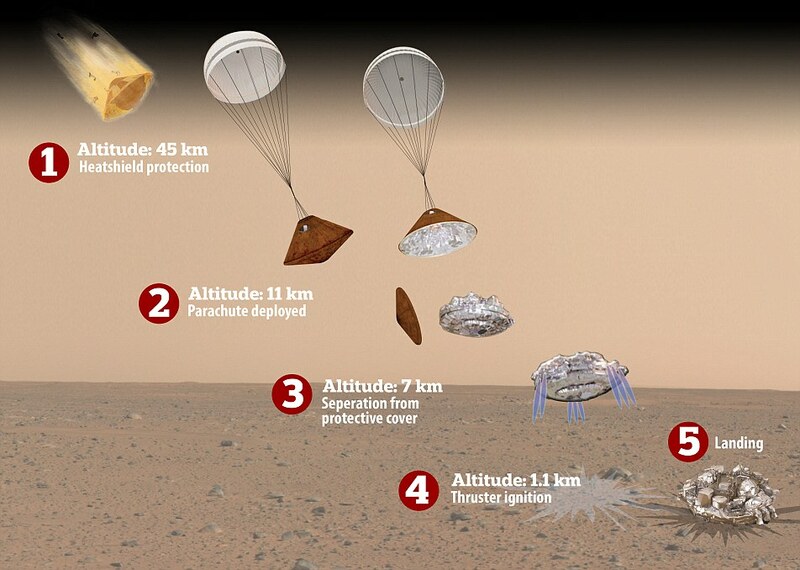 Schiaparelli’s main mission was to test new technology for future landings on Mars. There is a heightened state of military readiness among NATO countries, as fleet of Russian warships will soon steam towards the English Channel. Two Royal Navy destroyers are on station, ready to intercept the Russian taskforce, which is suspected to be heading for Syria to bolster military assets on the ground. Airborne NATO assets are also on alert. The taskforce includes Russia’s only aircraft carrier, the Admiral Kuznetsov, and a number of other capital ships. A number of Sukhoi Su-33 Flanker multirole fighter aircraft are on board the carrier. These aircraft are likely to be used to carry out bombing operations on rebel-held areas of the besieged city of Aleppo in Syria. 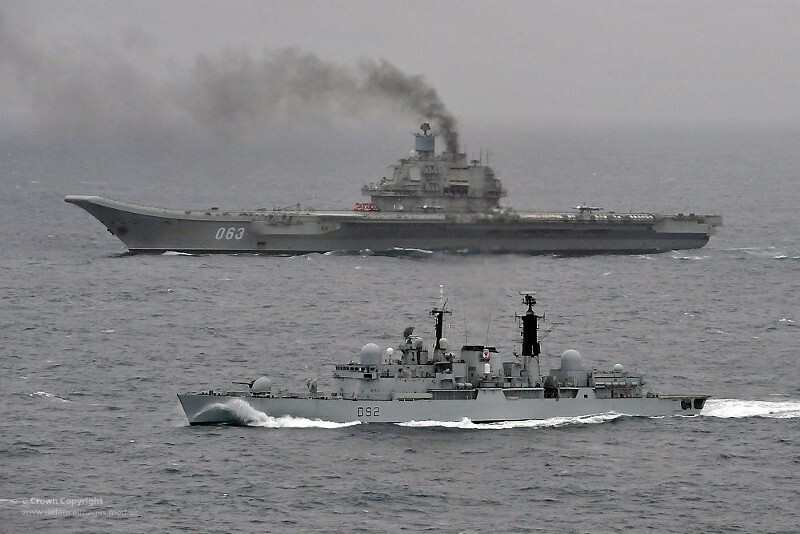 The Russian warships’s intended course will bring them right through the English Channel, a route that has been deemed to be used as a show of force. It is not usual for Russian ships to navigate this route, instead they usually sail down the Black Sea and on to the Mediterranean through the Bosphorus Strait. The military buildup is the largest Russian deployment since the Cold War, and it coincides with a period of heightened tensions between opposing factions in Syria and elsewhere. This latest move by the Russians is likely to inflame the situation even further. Once on station in the Mediterranean, the Admiral Kuznetsov will likely initiate combat operations against targets in Syria, a short flight time away.